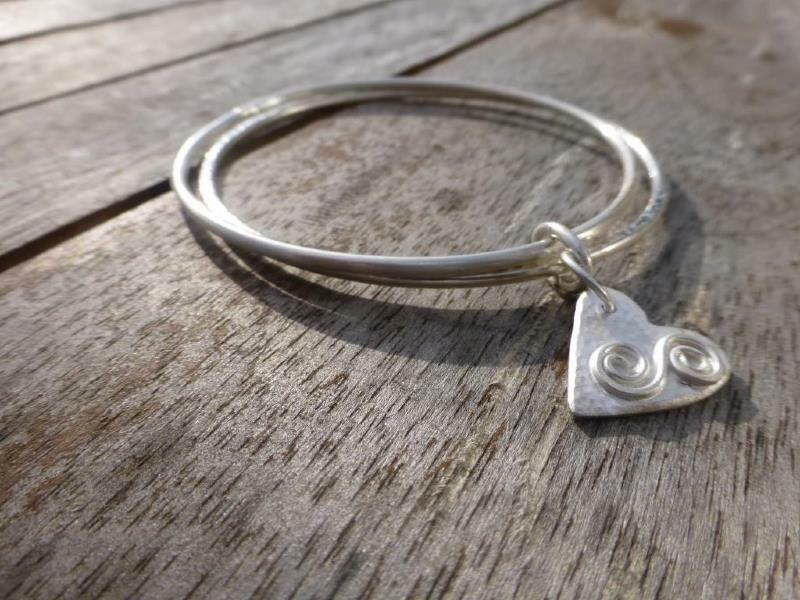 One smooth and one hammered bangle with an attached textured heart charm measuring approximately 1.5cms x 2.5cms. The heart charm can have an optional stylised initial - please indicate the letter when ordering. Alternatively I have some heart charms in stock with 2 gold rivets. This item is hallmarked by the London Assay Office and includes my sponsors mark.